The engineering and technical field are of particularly complex nature as they require careful scrutiny as well as ample technical knowledge for translation. As global advancements in engineering fields occur, the need for quality technical translation is also increasing. 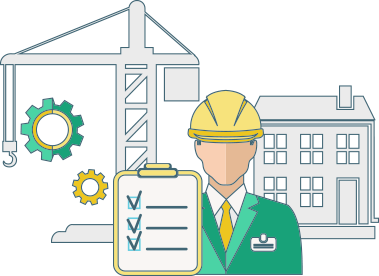 Mars Translation’s expert linguists keep accuracy, precision, and consistency in mind when delivering translations for technical and engineering industry. 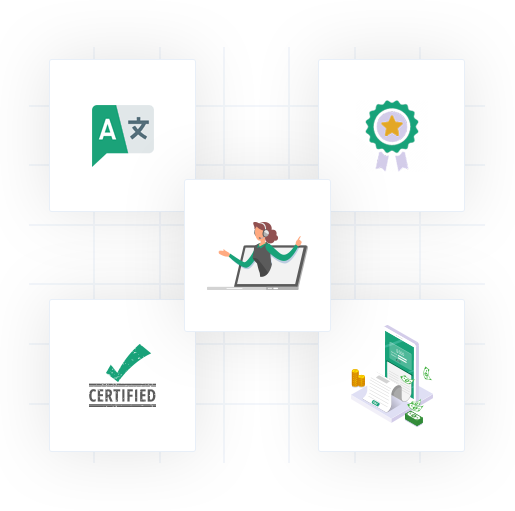 Backed by ISO 9001:2008 quality certifications and assessment procedures, these expert linguists translate a wide array of content related to technical and engineering industry. The translation of technical and engineering documents require precision, accuracy and ample technical expertise for translation. Mars Translation’s expert linguists adopt a technical and expert approach to translating all engineering and technical documents expertly and professionally. Whether you are translating documents for civil, mechanical, or chemical engineering industry, our team of 5000+ translators ensure you get all the important details of your documents right for an error-free globalization. Other than delivering a host of other benefits, these technical translators are qualified experts, having passed our strict QA standards and assessments to ensure quality translation services. Multi-format Support:Get your technical and engineering documents translated and delivered in any format of your choice through our Desktop Publishing (DTP) solutions. Quality Assurance:Ensure high quality of your translated documents through our quality assurance procedures and translation re-assessments of projects. Competitive Prices:Avail market-competitive and affordable rates for your translations with standard rates starting from USD 0.044 with no hidden charges. Certified Linguists:Enable global expansion in the engineering industry with the help of our expert and certified linguists having technical expertise and knowledge. 24/7 Support:Guarantee round-the-clock translation and consultation support with the help of our localization experts for project submission and query. How can I get my technical documents translated? Mars Translation is one of the expert and professional translation companies delivering expert translation solutions since the past 17 years. Our translation services encompass over many industries from retail, manufacturing, medical, legal, games, software, and legal to engineering industry. To get your technical documents translated in the language of your choice, simply register your quote with Mars Translation today. In case of any query, contact our translation experts for free. How do I ensure my technical documents are certified? Mars Translation is a premier translation agency delivering expert translation solutions since its inception almost two decades ago. Ever since its establishment, particular importance has been placed on certification and quality maintenance of translated documents. That is why a letterhead is placed on the translated documents after completion to ensure certification. This letterhead also acts as a notarized guarantee of certification as quality evidence for authorities wishing to inspect the certifications of these translation projects. Who will translate my technical documents? At Mars Translation, delivering quality and accuracy in translation are two of our principles. These principles are backed by the services of expert translators and who are not only native to the languages they are translating but are also qualified degree-holders in their respective language fields. We assure all your technical documents will be translated seamlessly and expertly with the help of our professional linguists and translators. How much does it cost to get my technical documents translated? Mars Translation, in addition to delivering expert translation services for technical and engineering content also believe in delivering these translations in a cost-effective and affordable manner. That is why our translation rates are among the most affordable among our competitors, with standard translation rates starting from as low as USD 0.044 per word. In addition, there are no hidden charges or fees for our translation projects that might be of any inconvenience to our customers. What file formats does Mars Translation accept for translation? At Mars Translation, our expert linguists are adept at handling all types of file formats for translation. You can get your documents translated in any format of your choice at Mars Translation ranging from PDF, HTML, and multilingual XML formats to multilingual Excel/ CSV formats (TSV, XLS, XLSX) etc.